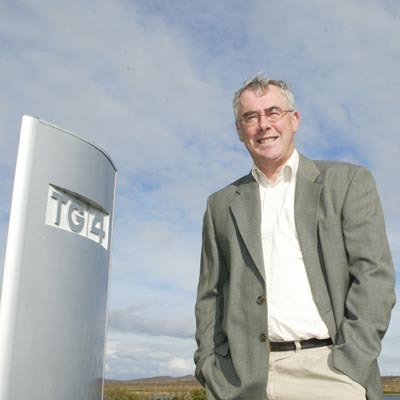 Pádhraic Ó Ciardha, TG4’s representative on the Irish Language Broadcast Fund’s Investment Committee, and the station’s deputy chief executive has announced that he will take early retirement from the broadcaster next February. Pádhraic is the longest serving employee of the station, which he joined 23 years ago. As Irish language broadcasting advisor to Máire Geoghegan-Quinn and Michael D. Higgins, the two ministers who brought the project to government level, Pádhraic was heavily involved in the policy development and government decisions that led to the formation of Teilifís na Gaeilge in 1996. As deputy head, he has been responsible for the corporate affairs and public relations of the station. Pádhraic is also responsible for coining the TG4 mantra ‘Súil Eile’. Before joining TG4, Pádhraic had extensive experience as a journalist. He joined Raidió na Gaeltachta in 1979, and was programme editor of RTÉ’s Irish language news service on radio and television until 1992. He has been a director of the Celtic Media Festival for many years and is the current Chair. Pádhraic has served as TG4 representative on the ILBF investment committee since the Fund was set up in 2005 and has provided invaluable advice and guidance on the various projects funded through the years. His extensive experience as a journalist and as a broadcaster has brought a wealth of knowledge to the committee that will be difficult to replicate. Whilst Pádhraic is retiring from his day to day job at TG4, Northern Ireland Screen is delighted that he will continue to represent the broadcaster on the ILBF committee. D’fhógair Pádhraic Ó Ciardha, ionadaí TG4 ar Choiste Infheistíochta an Chiste Craoltóireachta Gaeilge agus leascheannasaí an stáisiúin go mbeidh sé ag dul ar luathscor i mí Feabhra seo chugainn. Is é Pádhraic an fostaí is faide seirbhís ag TG4 agus 23 bliana tugtha aige don stáisiún. Bhí dlúthbhaint aige leis an réamhullmhúchán do Theilifís na Gaeilge, mar Chomhairleoir Craolacháin Gaeilge ag Máire Geoghegan-Quinn agus Micheál D Ó hUiginn, an bheirt Airí a thug an togra chun cinn ag leibhéal Rialtais. Sa ról sin rinne sé a chion féin san fhorbairt beartais agus sna cinntí Rialtais a glacadh chun go dtiocfadh ann don tseirbhís. Is le gnóthaí corparáideacha agus caidreamh poiblí is mó a bhain a chuid dualgas leis an chainéal lena linn, ó 1995 i leith. Is é a chum mana cáiliúil TG4, ‘Súil Eile’ chomh maith. Roimh TG4 bhí taithí fhairsing aige i réimse na hiriseoireachta craolta. Thosaigh sé le Raidió na Gaeltachta in 1979, agus bhí sé ina eagarthóir clár ag seirbhís nuachta RTÉ – raidió agus teilifís – go dtí 1992. Bhí sé ina stiúrthóir ar Fhéile na Meán Ceilteach le blianta fada agus is é Cathaoirleach na Féile é faoi láthair. Tá Pádhraic ag feidhmiú mar ionadaí TG4 ar Choiste Infheistíochta an Chiste Craoltóireachta Gaeilge ó bunaíodh an Ciste in 2005 agus thug sé comhairle agus treoir chríonna ar thionscadail éagsúla a maoiníodh thar na blianta. B’fhearrde riamh an coiste a shaineolas mar iriseoir agus mar chraoltóir, eolas ar deacair é a shárú. Cé go mbeidh Pádhraic ag éirí as a phost laethúil ag TG4, is ábhar lúcháire ag Scáileán Thuaisceart Éireann é go mbeidh sé go fóill ina ionadaí thar ceann an chraoltóra ar choiste an CCG.